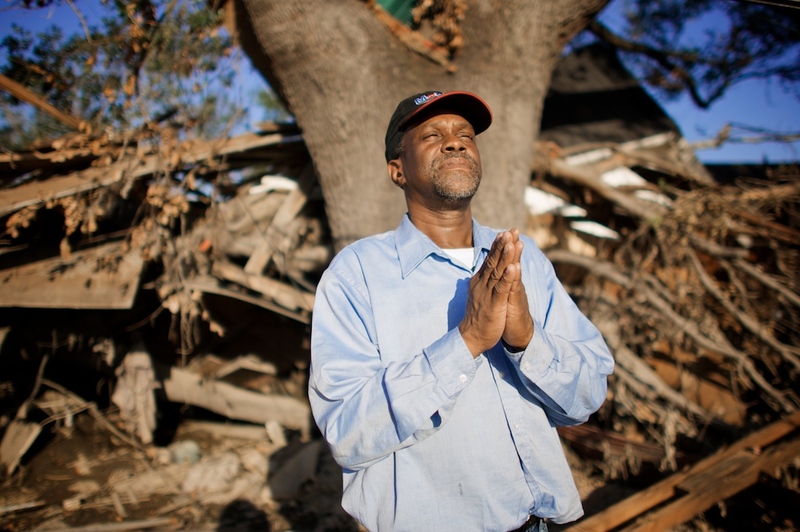 Prayers for the Dead: Portraits: Chris Livingston Photography, Inc.
Katrina survivor Robert Green says a prayer in front of the debris of what used to be his house in the lower 9th Ward. Green said that his house hit against the large oak tree when it floated off of its foundation during the storm. In the process of evacuating his family from the house to the more stable tree he lost the grip of his mother and granddaughter who were swept away in the storm water and died.